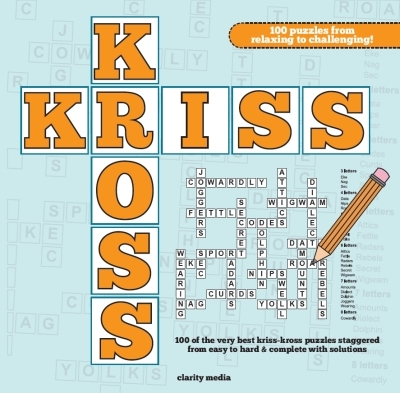 Welcome to this fantastic collection of 100 Kriss Kross puzzles (also known as letter fit, word fit or criss cross), guaranteed to keep you entertained for hours! Packed with the very best word puzzles, this book is a great way of keeping your puzzle solving brain in great shape. Whether you�re looking for a relaxing coffee break moment or are really wanting to test your skills, there is sure to be something for you here. Will you be able to tackle all 100 puzzles and use logic alone to work out the one true solution? 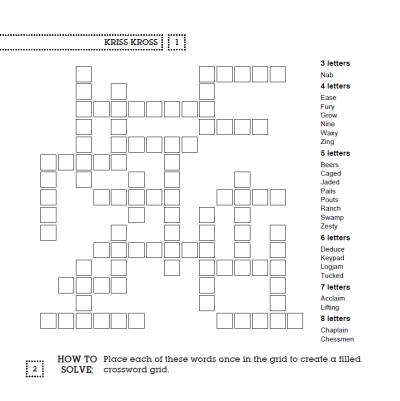 All puzzles are complete with full solutions towards the back of the book, so if the grids are proving a little tricky, take a peek there for some inspiration!